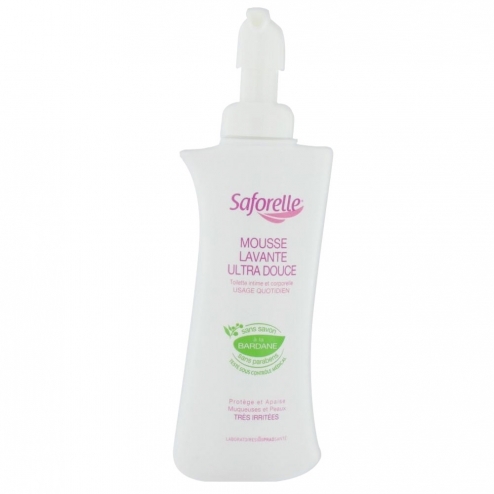 Saforelle Ultra Soft Cleansing Foam gently cleanses and calms d�mengeaisons. Its foam texture can reduce friction when washing and thus brings more of conformt if irritation. Its enriched with soothing and calming burdock property formula and mild alkaline pH are also a carefully tailored to the intimate and personal daily hygiene. Personal hygiene and body are sensitive or irritated skin and mucous membranes.